Precision Oncology has four distinct steps, also referred to as The Four Pillars of Precision Oncology. Clinical cancer research shows that when cancer patients include just one of these Precision Oncology tools the results are improved survival rates over standard cancer care, with greatly reduced treatment side effects. Now, what do you think the outcome would be when all four of these life-saving advances are applied to your cancer treatment? In fact, the data shows that the full Precision Oncology process results in greatly prolonged survival rates, even for patients with inoperable cancers and those who have already exhausted all standard care options. And for those who begin their cancer treatment with Precision Oncology, the outcomes are literally off the charts. Check out Issue 4 of the CTOAM newsletter to explore the Four Pillars of Precision Oncology! Or, read more below. What are the Four Pillars of Precision Oncology? Precision Oncology is, by definition, the most advanced cancer care that science has to offer. 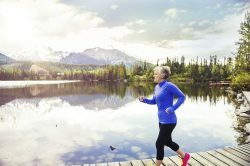 If you are engaging in Precision Oncology it means that your treatment plan is literally designed just for you: your unique genetics, your lifestyle, and your preferences too. It means that at each step in your cancer care, decisions about how to proceed with treatment are directly driven not by which tests or treatments happen to be on the standard care menu, but by what your body most needs to kill the cancer cells, now. And best of all, Precision Oncology is proven to provide greater success rates and fewer side-effects than conventional cancer care. Precision Oncology uses leading edge diagnostic tools, such as detailed genetic panels and hereditary mutation testing, as well as PET/CT imaging, to show precisely where the cancer is in your body and what is making it grow. We also conduct a thorough review of your medical history, family history and life experience to determine any and all possible causes of your cancer. Without precision diagnostics your doctor can only base your treatment on their best guess. 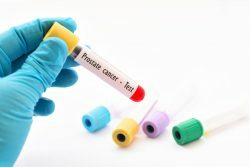 Given that 90+% of the time, when PET/CT and or Genetic testing is used to aid in your diagnosis, oncologists change their initial treatment plan, it is clear that giving yourself the most accurate diagnosis that medical science has to offer will not just save you time and unnecessary treatments and stress, but will allow your Oncologist to confidently order you the treatment that you truly most need. Of all steps in Precision Oncology, the accuracy of your diagnosis is the absolute, most important, first step. Genetic testing panels and detailed imaging scans, such a PET/CT and PET/MRI provide significantly greater accuracy and lead to greater overall survival rates and significantly fewer treatment side effects. Once we have confirmation of what is causing your cancer, then our research scientists conduct many hours (usually 30+) of personalized research, specific to your body, your inherited genetics, your lifestyle and your cancer genetics, to identify the best possible treatment options for you anywhere in the world. We present his information to you in both a written report with clear treatment recommendations and in direct consultation, where you can take as much time as you need to ask all your questions. We coordinate with your Oncologist and ensure they have confidence in this information and we help them, as necessary, to access the treatments that you have chosen. 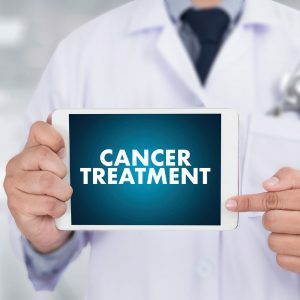 Every single treatment recommendation that we present to you and your Oncologist is guaranteed to be showing better results than your current treatment plan and standard care options. And we back this up with detailed medical journal references, giving your and your Oncologist the confidence you need to amend their initial treatment plan and follow your personalized treatment plan. Targeted therapies are excellent because they only kill the cells carrying the mutation they are designed to target – that means only the cancerous cells die, leaving your healthy cells to flourish and help you recover. Because of how they work, targeted therapies provide greater overall survival rates and significantly fewer side effects than standard chemotherapy and radiation. We help to give you greater peace of mind, throughout your treatment process, with the use of ongoing treatment monitoring in the form of circulating tumour DNA (ctDNA) tests, also known as Liquid Biopsies. This ensures your treatment is working as well as it should. Liquid biopsies also allow us, if need be, to make rapid adjustments to your treatment protocol. We also use these liquid biopsy blood tests after your treatment is complete to provide you with continued reassurance, year after year, that all is well. Find out how Precision Oncology can help you or your loved one! Samantha, 54, had previously been treated for high-grade serous ovarian cancer, which had returned. When she contacted CTOAM, Samantha had completed all of the standard chemotherapy regimes. She was quickly running out of options for further treatment. Plus, the years of fighting her disease had also left her financially destitute. Samantha wasn’t ready to accept this, so she reached out to CTOAM! CTOAM Cancer Patients Live Longer! This graph clearly shows the incredible, life-extending benefits of CTOAM’s unique precision oncology services with patients who had been diagnosed with Stage IV cancers and had already tried one or more forms of treatment as prescribed by their oncologist. The CTOAM team applied our unique precision oncology process and we made sure our patients got access to the treatments that were going to provide them with the greatest benefit. And even for those at Stage IV, the results are stunning! Imagine what Precision Oncology can do for those who start even earlier! This is why ASCO, the American Society of Clinical Oncology and world’s foremost authority on Cancer care, says that Precision Oncology is the natural evolution of cancer care. In fact, the only reason that every cancer patient isn’t automatically given access to each of the 4 Pillars of Precision Oncology, has nothing to do with how well it works, it is simply a matter of money and time. It costs money for large systems to change and it takes a long time for that change to occur. That is the only reason these life saving tests and treatments are not already provided to every cancer patient as part of standard care. When you use CTOAM’s Precision Oncology services, you are truly giving yourself access to the very best diagnosis that medical science can provide – 99% accuracy! – which leads to the most effective treatment plan available and the very best outcome possible: More time, with the good health to enjoy it!